Erika likes to tease me that there are trigger words on brown road signs that she knows will spark my interest. Foremost among them is “fortification.” Anything big and old, I find fascinating. 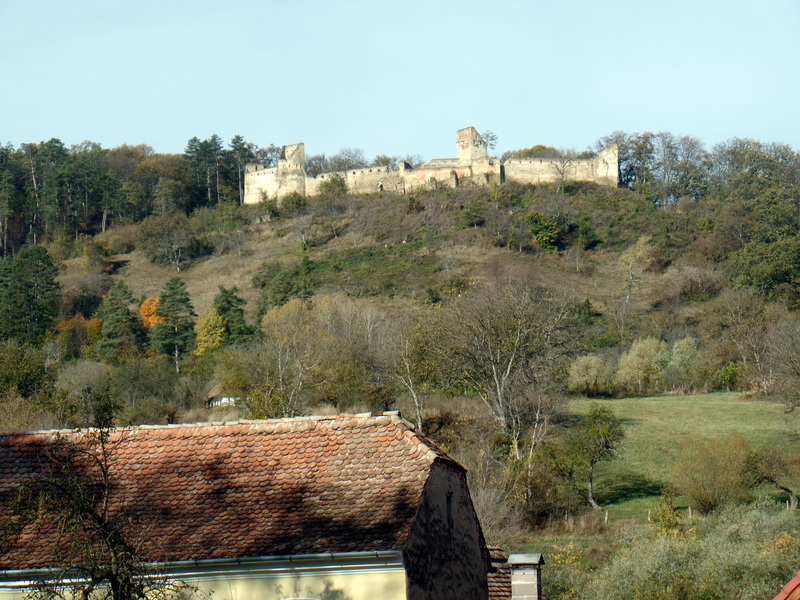 Yesterday, while driving from Sighișoara back to Brașov (this time via the highway) we past brown sign after brown sign that said “fortificata,” but we were on a timeline, so without a preview, it was hard to tell if it would be worthwhile. Some, like the first image on the right, were simply ruins without much access. If we had more time, we could have hiked up the hill to explore, but in the interest of time, we decided to keep moving. 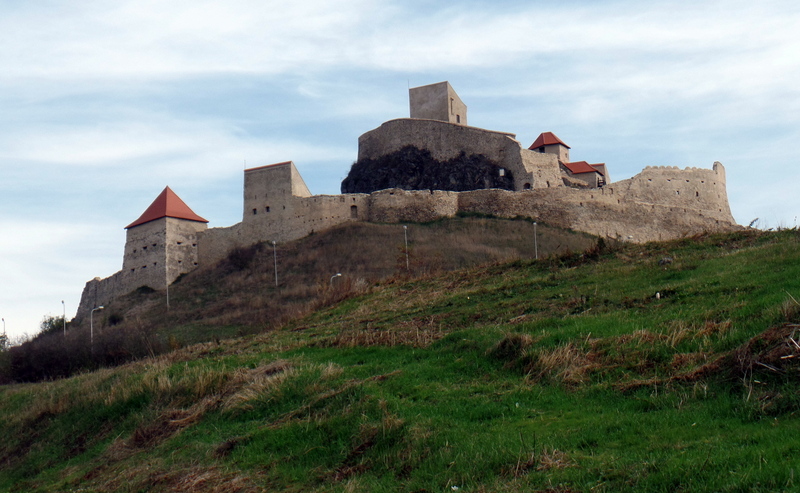 The Rupea Citadel, a fancy word for a fortress protecting a city, is first mentioned in documents dating from 1324. Saxons had been occupying the area and had built many strongholds throughout Transylvania. It is amazingly well preserved, though there has also been great efforts on behalf of the European community to restore it. Almost all of the structure is accessible and we were two of only a handful of people on this particular day, so we had free rein to explore. I was reminded of the scene from Monty Python and the Holy Grail in which they launch a cow from a castle. Below are photos from our exploration. Click the “Load more” link at the bottom of the gallery to see more pictures. I feel like I”m taking a history course without studying…thanks for these postings Tom.